You are now just one click away from entering the SBG "inner circle!" Seriously, if you love REAL swords do yourself a favor and subscribe - you can unsubscribe at any time and rest assured that your email address will never be shared with anyone else and see for yourself what makes our store newsletter different from the rest (its SBG after all!). 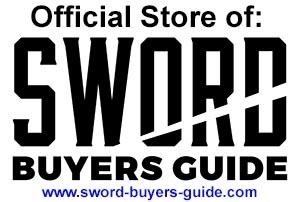 Get exclusive special offers, first access to limited edition deals and store news direct to your inbox with the SBG Sword Store Newsletter!